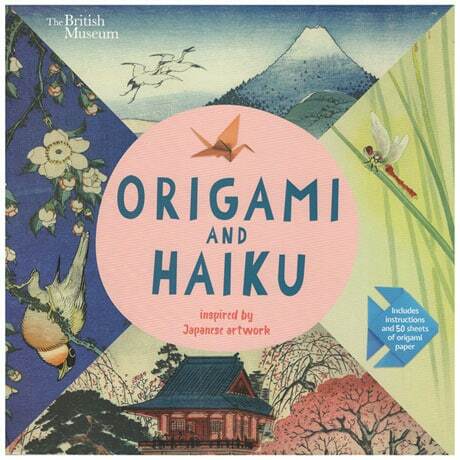 Relish the delicate, intricate beauty of Japanese art via two of the most celebrated aspects of Japanese culture: origami and haiku poetry. Thirteen paintings and woodprints from the collections of the British Museum are reproduced here as inspiration for a series of origami creations: create a paper boat inspired by Katsushika Hokusai's The Great Wave, fold a pretty pink flower drawn from Utagawa Hiroshige's Woodblock print of cherry blossoms... And for an extra creative boost, each step-by-step origami construction is accompanied by a relevant haiku. 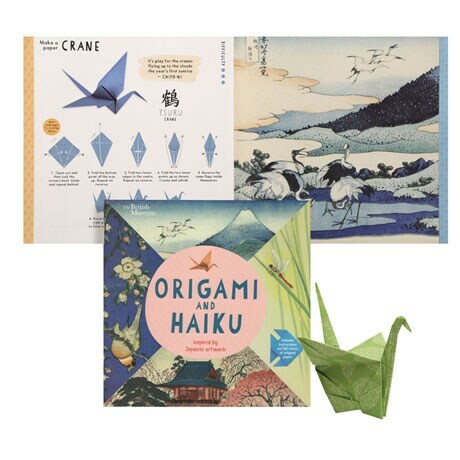 The kit also includes fifty sheets of origami paper, plus links to how-to origami videos. For ages 10 and up.